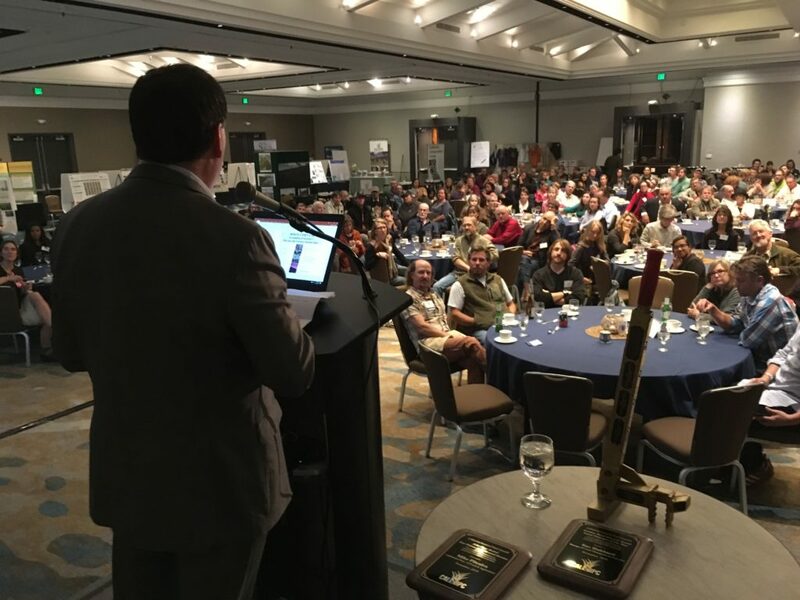 Sponsor the 2019 Cal-IPC Symposium! 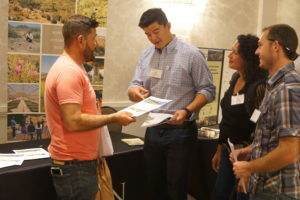 Sponsoring the Cal-IPC Symposium offers a unique opportunity to present your organization’s work to California’s natural resource management community. 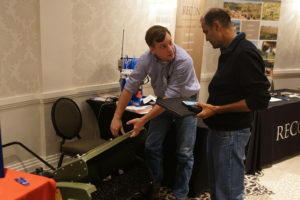 Sponsors are acknowledged in numerous ways before, during, and after the event, and our program includes a dedicated exhibit and poster session where sponsors engage directly with our attendees, as well as ample breaks to support networking. We look forward to seeing you in Riverside. To sponsor the Symposium, register through our online form (link to come soon) or download the Sponsor Packet to send by email or mail. 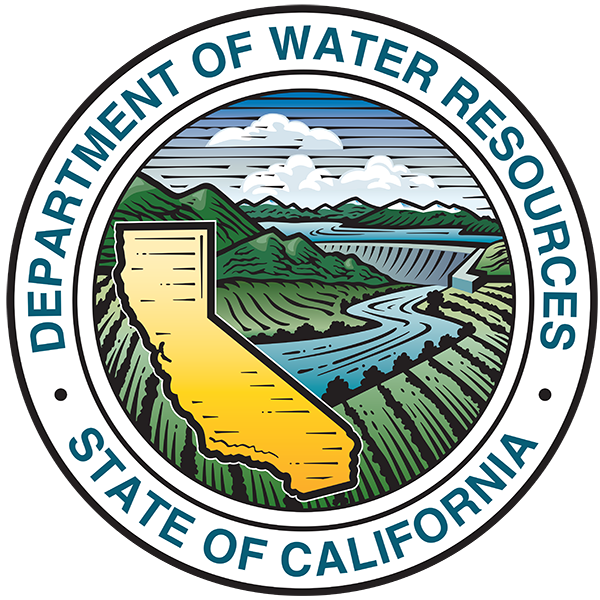 CNPS Chapters are essential local partners in conducting early detection and strategic invasive plant management on-the-ground. We offer a special rate for CNPS Chapters. Register a sponsorship via our online form (link to come soon) or download the special CNPS Sponsor Packet to send by email or mail. We couldn’t do this work without our incredible sponsors! 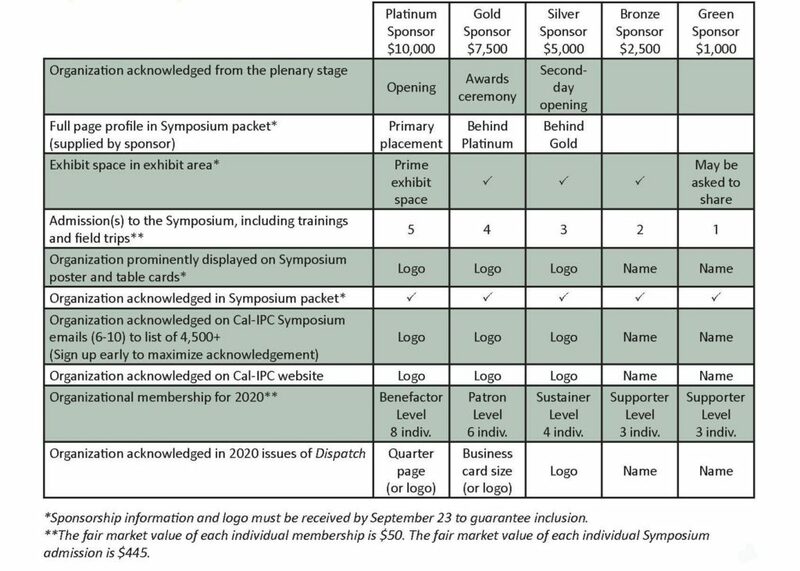 Contact us at symposium@cal-ipc.org for questions about sponsorship opportunities.